What determines the value of a diamond? As is true with their colorless counterparts, naturally colored diamonds are valued by taking into consideration the 4C’s, with arguably the most important being their Color. 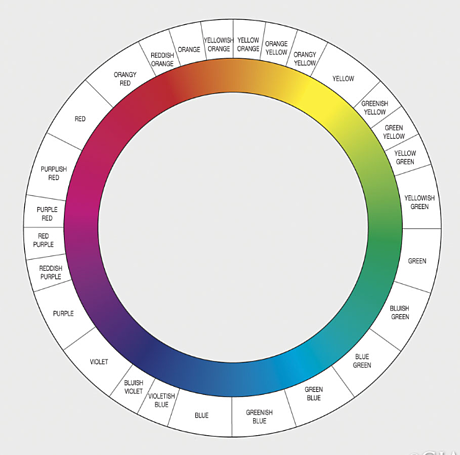 Hue refers to the primary color of the diamond such as red, pink, yellow, or blue, with a total of 12 main hues found in naturally colored diamonds. 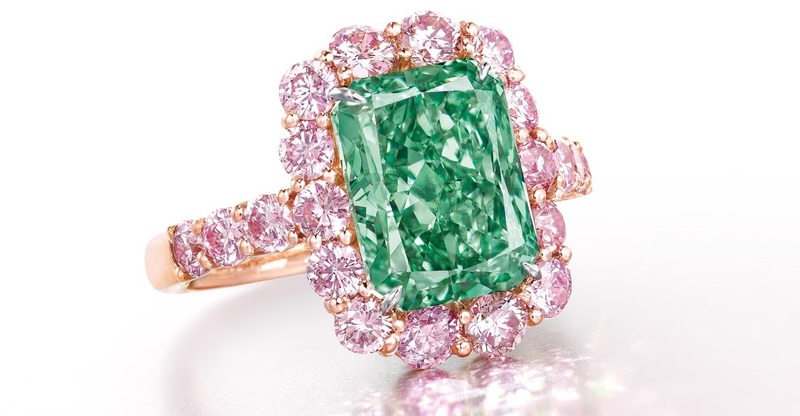 Often, these different hues combine, resulting in a modification of a specific color, such as a purple-pink diamond or a yellow-brown diamond. How Does Rarity Affect Price? 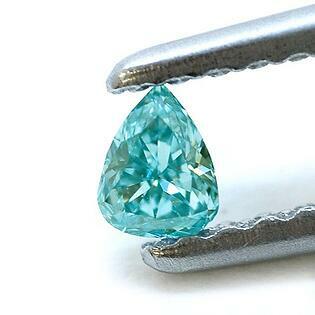 Similar to colorless diamonds, the value of colored diamonds can be ascertained by their their price per carat. But how is this determined? Simply put, by a stone's rarity. As we mentioned previously, a diamond's quality is heavily depended on its 4C's. The greater the clarity, saturation, size, and quality of cut are the rarer the gem will be. Let's put this into perspective. Out of all diamonds mined every year, only 1% are colored. From this 1% only a fraction are considered to be investment grade; and out of this fraction only a handful end up making headlines or setting new records. Having said that, the rarity of some stones is likely to increase even further in the upcoming years. 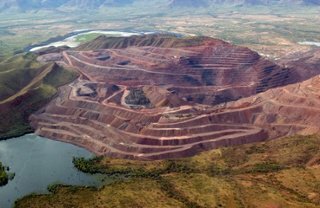 Mines all over the world are experiencing shortages in their colored diamond production, including the famous Argyle Mine in Australia, which is expected to cease operations by 2020. 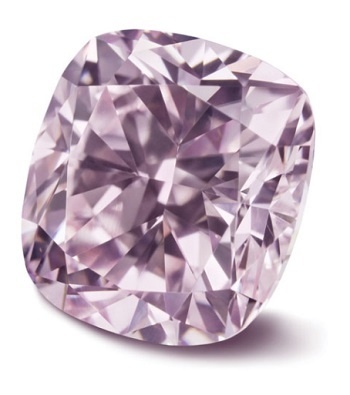 If this happens, rare categories of diamonds such as the Argyle Pinks and reds will potentially be finite, causing even greater spikes in value. If you are interested in reading more about this great mine and how its closure might affect the diamond market, click here. So Which Colors Sell for the Highest Price per Carat? In terms of color, the rarest of them all is red. Less than ten red stones are discovered each year, and less than 30 have ever been put up for sale at a public auction. A prime example of such stones is none other than the breathtaking "Moussaieff Red". 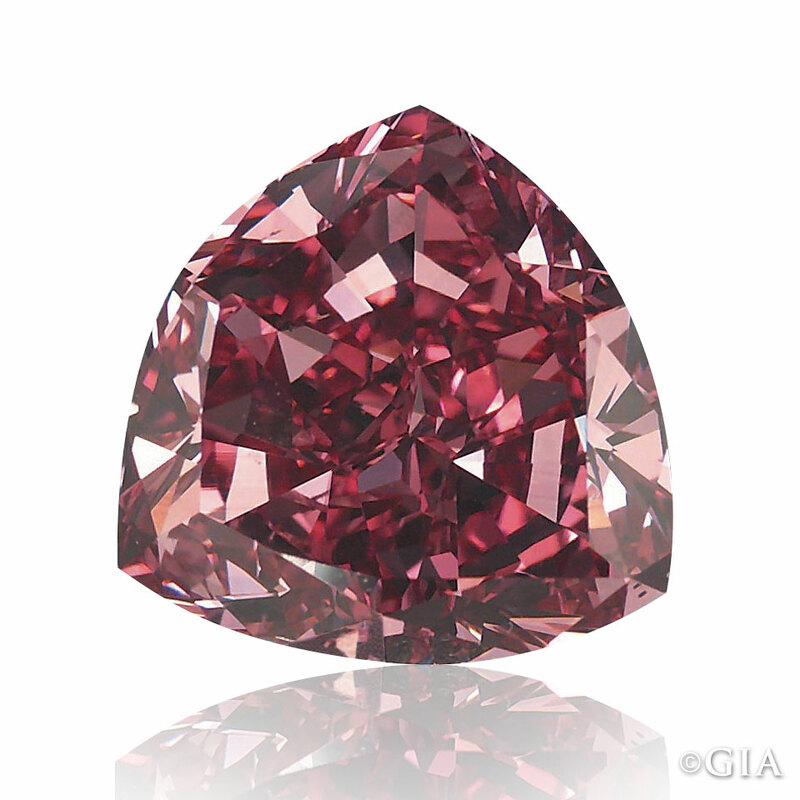 With color taking precedence over carat size, pure red stones can be priced upwards of $2 million or more per carat. Following red diamonds on the rarity scale, we have blue and pink diamonds. 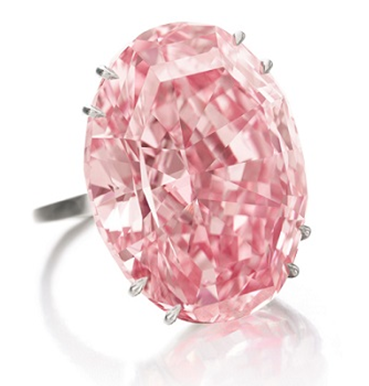 Either color can sell for an estimated $300,000 to $1+ million per carat. 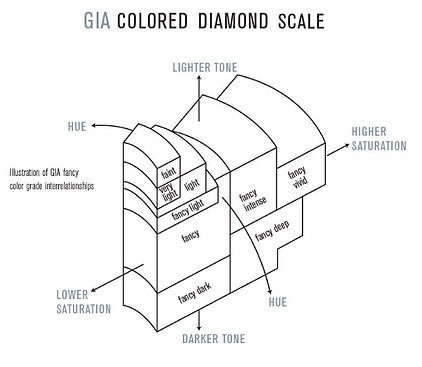 Here color saturation and carat size are the definitive characteristics of value. Next on our list are orange and green diamonds. Despite not having the fame of the previous 3 color categories, but these stones are still extremely rare, reaching very respectable $300,000+ per carat ranges over the years. While the final colors on our list are the most common of naturally colored stones, demand is still substantial (especially when it comes to engagement rings), potentially yielding hundreds of thousands of dollars per carat. 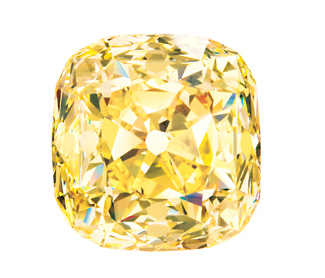 These are the vibrant yellows, and more specifically the Canary Yellow diamonds. While color is still very important, due to their lighter tones; clarity, cut, and carat weight play bigger roles. And there you have it. 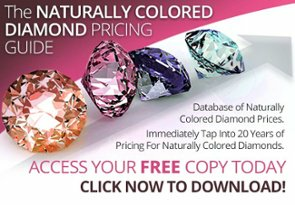 Although each fancy colored diamond is unique and cannot be universally valued, the price is highly dependent on the rarity of their color, their characteristics, and their dwindling supply. If you are interested in learning more about the 4C's check out this guide published here earlier this year. For more reading on colored diamonds, check out the links below and as always feel free to follow us on Twitter and like us on Facebook.